Tip the bulghar wheat into a heatproof bowl and just cover with boiling water, then cover with cling film and set aside for 10-15 mins or until tender. Put the kale in a food processor and pulse to finely chop. 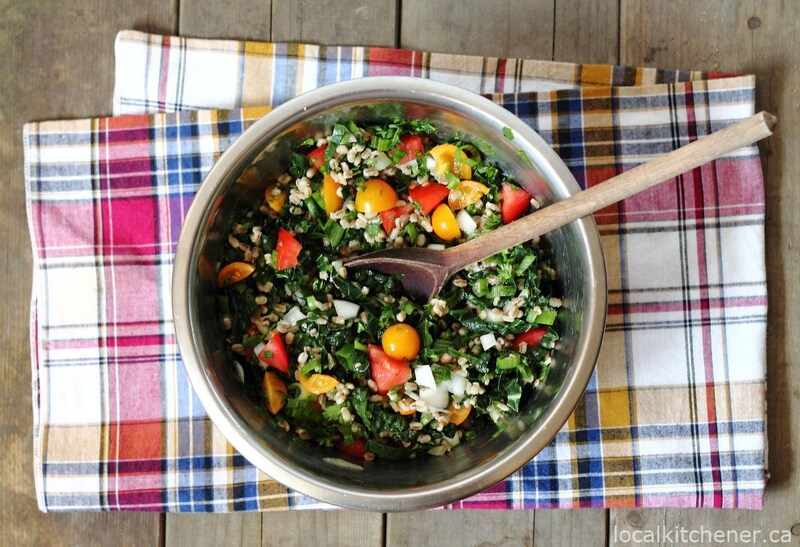 Stir the kale, mint, spring onions, cucumber and tomatoes through the bulghar wheat. Season with the cinnamon and allspice, then dress with the olive oil and lemon juice to taste. Scatter over the lemon zest and feta. To serve, let everyone scoop the salad onto leaves of Baby Gem lettuce.